The Vollrath 47142 disher has a 22⁄3-ounce-capacity stainless steel bowl that provides consistent food portions. 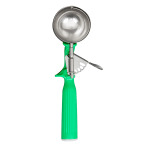 Product scooped into the disher is pushed out by the blade, which extends past the bowl to prevent sticking. 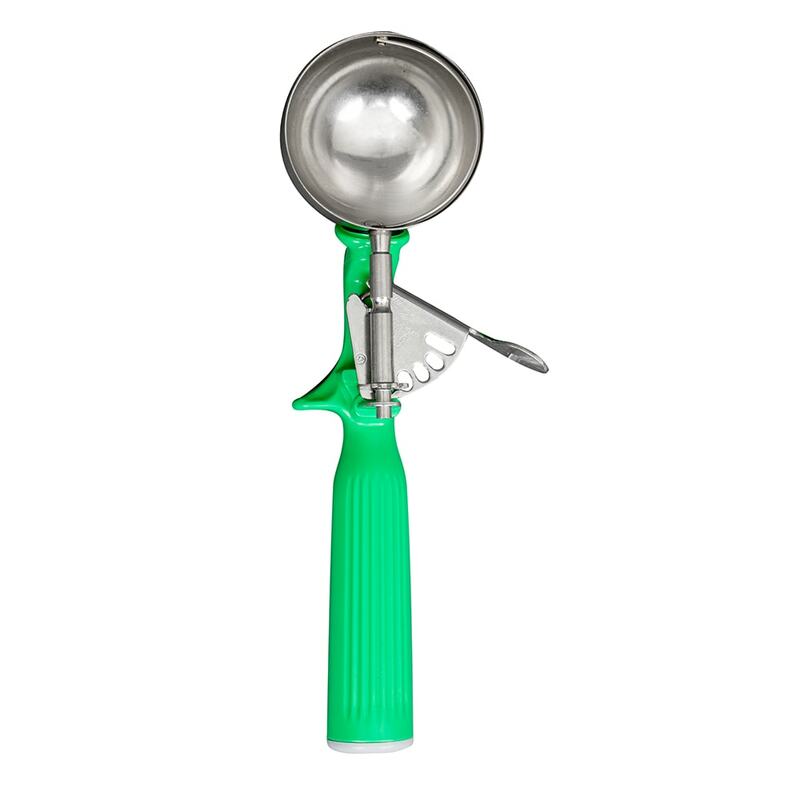 The handle is durable with its one-piece construction and comes in green to fit into color-coded disher size systems. An antimicrobial agent is built into the handle to resist bacteria growth. Cleaning the Vollrath 47142 disher is simple since it is dishwasher safe. Take a look at our explainer article for dishers to find out more about disher features.